Keeping your tires at the correct pressure can actually save you money at the gas pump. Check the recommended PSI for your tires and keep them maintained at that level. For every 2 PSI under the recommended level, you are losing 1% of your vehicle’s miles per gallon. An under-inflated tire is more likely to suffer from a blow out, leaving you stranded on the side of the highway. It also creates the risk of losing control of your vehicle and causing a wreck. Take your vehicle in to have the tires inspected to make sure the tires are balanced and aligned properly. It is important to have your tires rotated every 6,000 miles or so to prevent uneven tire wear. Doing these things will help keep your tires in good shape making them last longer so you won’t have to replace them often. If you need vehicle maintenance in Venice, FL, contact the automotive experts at Rolling Auto Service today! Whether it’s tire trouble, engine failure, or a dead battery, we have the tools to get your car up and running again. The best part is we come to you! 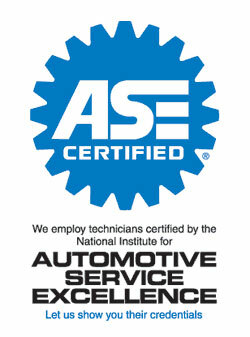 Call now if you need automotive repairs done right at home. Posted in Uncategorized on August 12, 2016 at 7:25 pm by Rolling Auto Service.